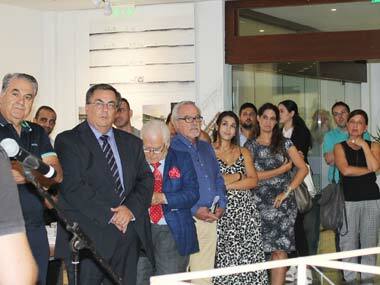 The 3rd annual End of Year Student Exhibition of the School of Architecture, Engineering, Land and Environmental Sciences opened on Wednesday, Sept. 12th, in the premises of Neapolis University in Cyprus. The exhibition includes projects from all semesters, as well as research and diploma theses from graduating students, completed within 2016-2018. The student work, showcases the emphasis placed by the Program in Architecture and the Postgraduate Program in Landscape Architecture on strengthening synergies with the local community, and also drawing connections with international architectural ideas and contemporary technological advancements. Through theoretical experimentations and practical applications, students offer their own proposals to environmental, socio-cultural and techno-economic concerns, supporting local and regional development whilst at the same time shaping their own professional futures.